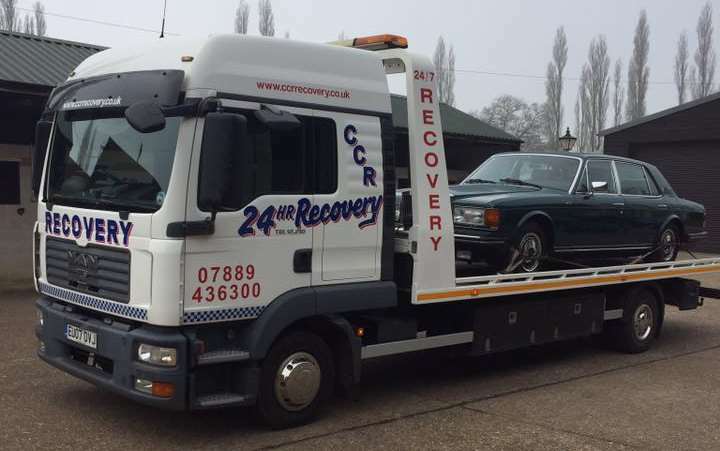 If you are in need of Breakdown Recovery in Hemel Hempstead and the surrounding areas or Breakdown Assistance in Watford look no further than the team here at CCR Recovery. 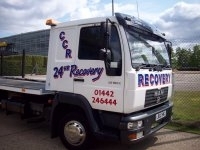 Established in 1995, CCR Recovery provide a fast and efficient service 24 hours a day. We pride ourselves on our professional service when you are in need. We offer secure vehicle storage and liaise with many leading insurance companies to offer you peace of mind that with CCR Recovery you are in experienced, trusted and safe hands. We offer a fast and friendly service 24 hours a day for safe collection of you accident damaged, or broken down vehicle - we have specialist lifting equipment to assist in any situation so if it's Vehicle Recovery in Watford or Breakdown Recovery in Hemel Hempstead or any of the surrounding areas please don't hesistate to give us a call! All of our prices are highly competitive and all recoveries and repairs are carried out by our dedicated team of professionals who are dedicated to ensuring your complete satisfaction with the service they provide. Distance is no object, so for a competive quote for Breakdown Recovery in Hemel Hempstead, Breakdown Assistance in Watford call CCR Recovery Today! We also offer a Mechanical Repairs in Hemel Hempstead, Berkhamsted, Watford and all surrounding areas as well as vehicle Servicing in Hemel Hempstead, Watford and all surrounding areas - please feel free to contact us with any enquiries. If you wish to enquire about any of the services we offer then don't hesitate to get in touch. You can contact us on 07889436300 or via the "Contact Us" page provided. Our reliability and efficiency is guaranteed to impress so for Breakdown Recovery in Hemel Hempstead, Vehicle Repairs in Berkhamsted or Vehicle Disposal in Watford call to CCR Recovery today!